My birthday is just around the corner. It’s on March 11, don’t forget to wish me “winks”. Kabhi kabhi mere dil mein khayal aata hai … if I had straight, manageable hair then my life would have been perfect. I seriously envy those girls who have straight, shiny hair or hair with some curls. I have hair full of frizz. God only knows why they seem like if I got an electric shock. Anyways this was my sad story for hair. My hair story took a turn when I added BBlunt High Definition Curl in my vanity. Read on to discover my twists and turns with BBlunt. This is priced at Rs. 534. You can buy here online. 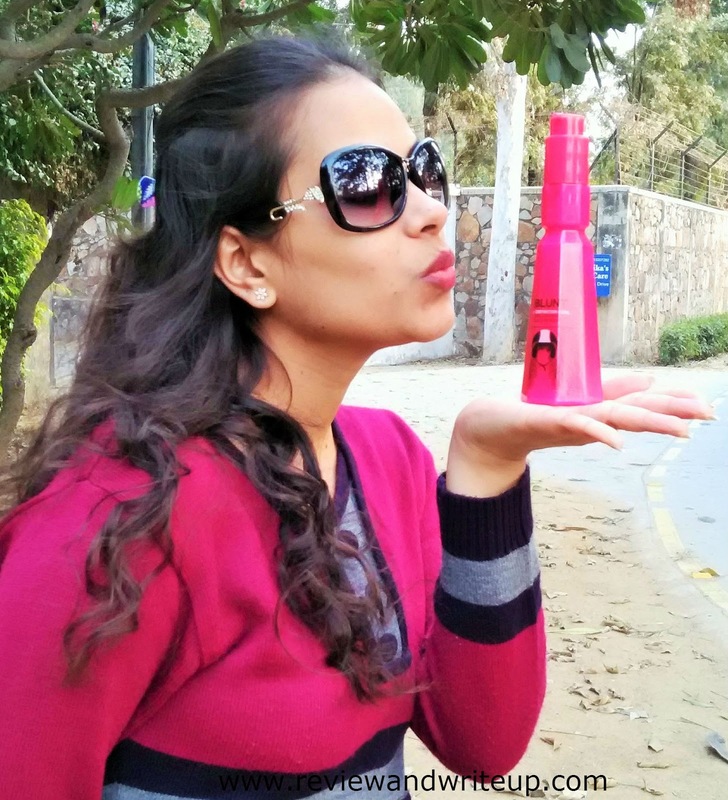 About the brand – BBlunt was creative idea of Adhuna Bhabani. It was started from a salon to now an amazing organization churning out millions of products. Undoubtedly she has styled some of best celebrities in India. 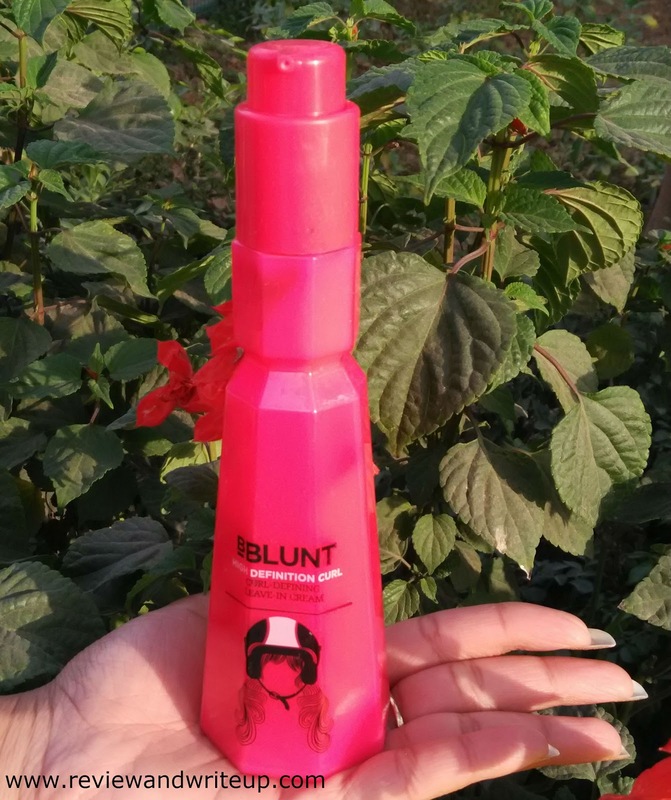 I am proud to be associated with Bblunt even in a small way. 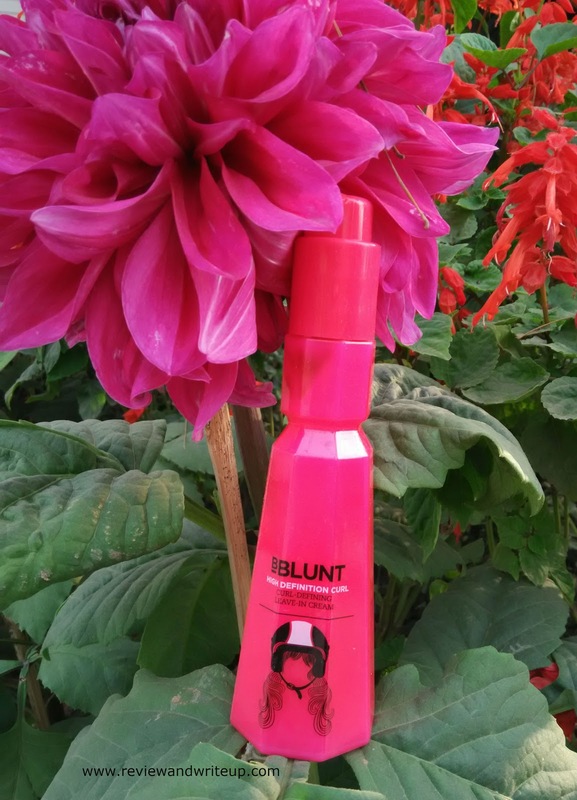 Packaging – Bblunt highdefinition curl leave in cream comes in a nice candy pink color bottle. Packaging is so chic. One look can tell this is made for girls only guys just stay away. Bottle comes with a pump. Best part about the packaging is that pump comes with an easy twist lock function. This function makes it super travel friendly product. 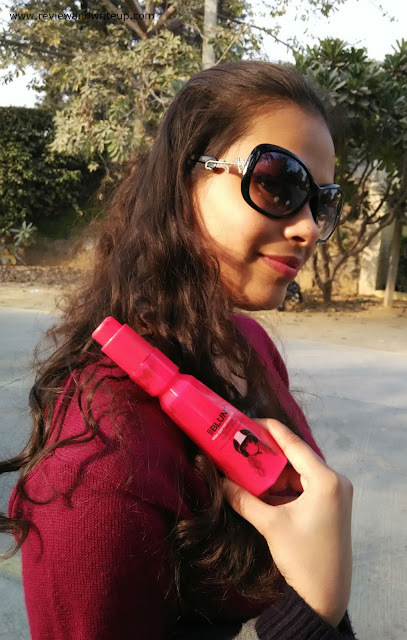 In fact you can carry half used bottle easily in your bag without fear of spillage. Usage – Apply on damp strands of your hair. 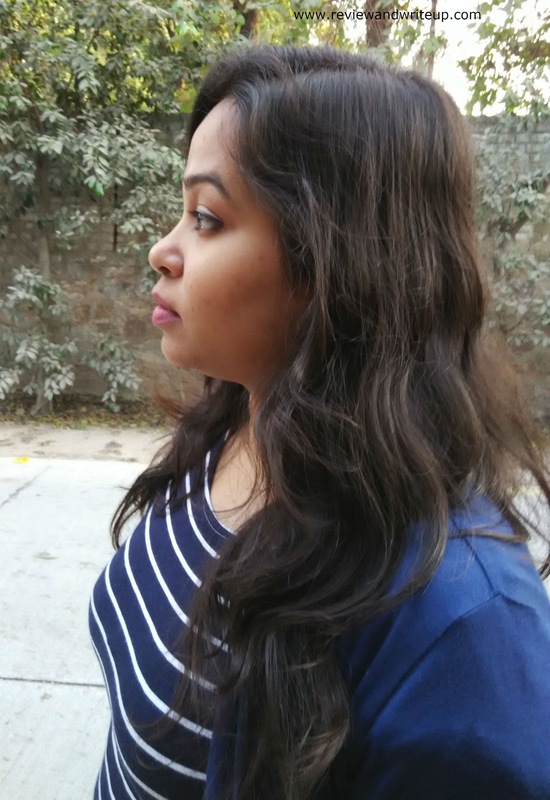 Decent quantity is required for medium length hair. My tip will be to use only your fingers to apply cream. Don’t use brush. Apply cream from roots to tip to get best results. 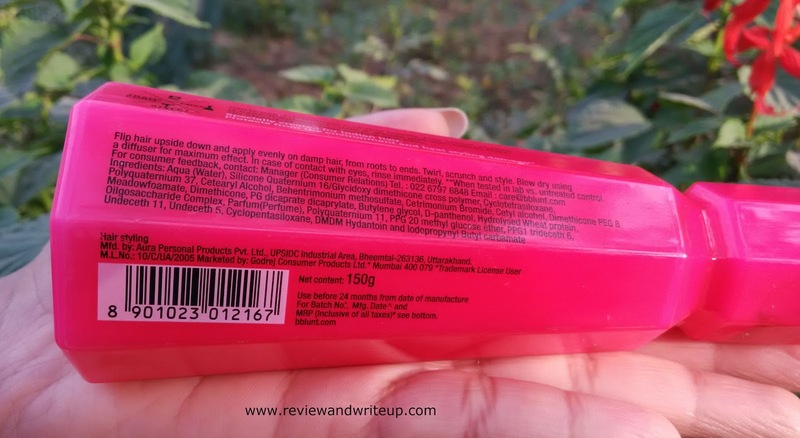 R&W Review – I am writing this review after using it for two weeks. I normally wash my hair thrice a week and so is my sister. We both have been using it after every wash. First week I just tried it as normal leave in cream to test the effect. You can see my Instagram photos here. The cream worked as perfect anti frizz for my hair. It’s easy to entangle your hair once cream is applied. I know you guys also have few concerns like if my hair would look oily after usage, so no hair won’t look oily. In fact they look silky smooth. Okay okay I am getting there. I know you want to know that if it makes my hair white. Well no it doesn’t. Cream bestowed us with its effect till next day. And smell is great. It’s like that of hair spa creams. I personally love that fragrance in my hair. Cream will be slight sticky and greasy which could be washed away with soap. Also we both donned two looks just for you. Ekta did this look using BBlunt and styling tool. I curled with hands and cream. What you think of the looks? I really wanted to know how this cream work when we curl manually. Glad you mentioned this aspect in your post. I think now I can buy this one. 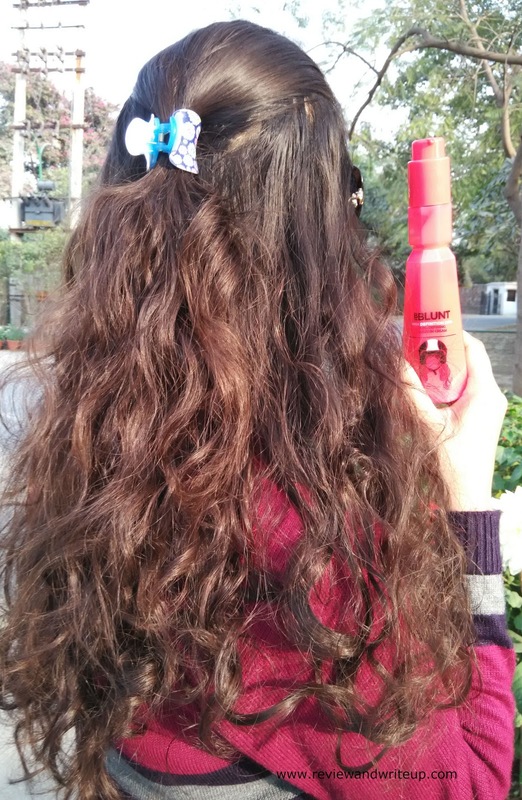 For curling with just your hands, the leave-in-cream is holding the curls well.